It stays on your hair for a few minutes, then gets washed away, so does your choice of shampoo matter? Remember the multitasking 2-in-1 wash & go? Along a similar vein, ‘co-wash’ is now the new buzzword. 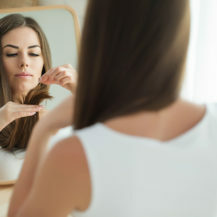 It refers to a cleansing conditioner – aka a moisturising shampoo – and is much like conditioning hair before shampooing it. But it’s not for everyone… it’s best suited to naturally dry hair – think curly, afro, or super frizzy. 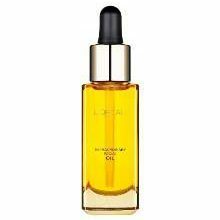 A blend of oils, like coconut, borage, avocado, grapeseed and argan, make this a one-stop shampoo. Unwash Bio-Cleansing Conditioner, R695 for 400ml, is a one-step, creamy, all-in-one that suits dry scalps, thanks to natural oils of coconut, borage, and evening primrose. Mielle Organics Detangling Co-Wash, R339 for 240ml, instantly detangles and smooths. 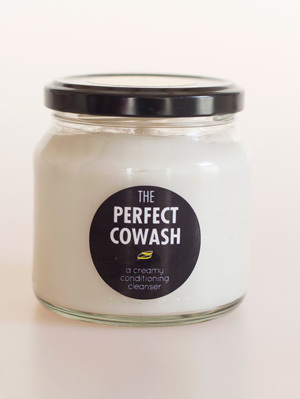 While The Perfect CoWash A Creamy Conditioning Cleanser, R150 for 250ml, is a rich, rinse-out cream that makes super-dry hair soft, shiny, and more manageable. Great for when you’re not in a hurry. A pre-shampoo, used before normal shampoo, puts a spring back into dull locks. Massage into damp hair till scalp and hair are coated. Wrap your head in a towel (or use clingwrap first to intensify the effect). Leave on for 20 minutes (longer if you have coarse, frizzy hair), rinse properly, and shampoo as usual. 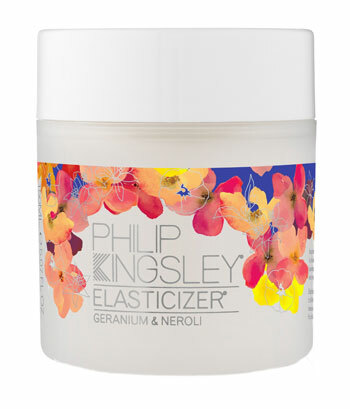 Philip Kingsley Elasticizer Geranium & Neroli, R875 for 150ml, enriched with natural oils, deeply nourishes dry hair – perfect for ‘dye-hards’. 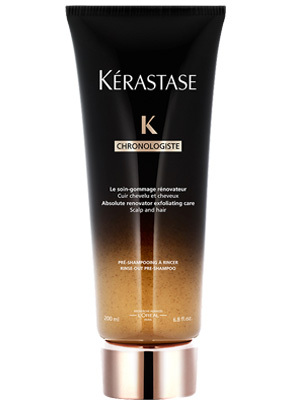 Kérastase Chronologiste Scalp and Hair Rinse-Out Pre-Shampoo, R890 for 200ml, exfoliates from root to tip. 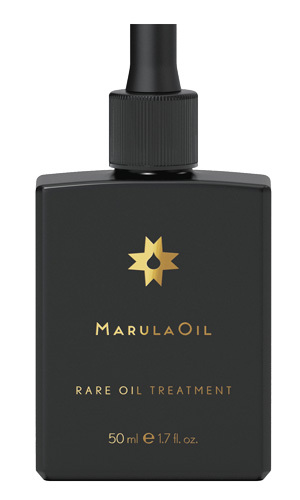 Paul Mitchell Marula Oil Rare Oil Treatment, R511,70 for 50ml, has antioxidant-rich marula oil for softness and shine. 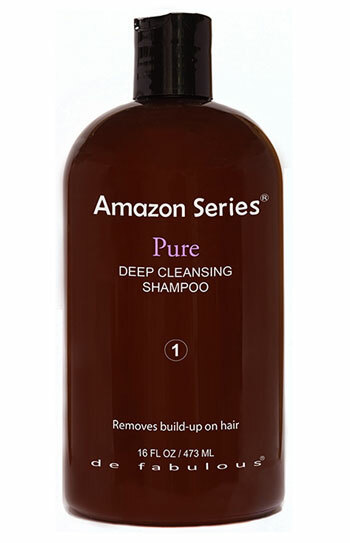 For very oily scalps, use Amazon Series Pure Deep Cleansing Shampoo, R446 for 473ml, to remove dirt and impurity build-ups that leave hair dull. 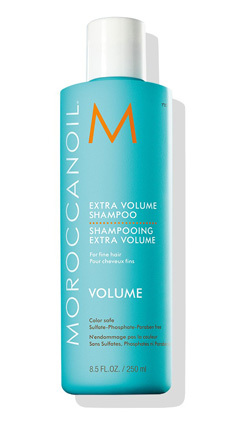 Moroccanoil Extra Volume Shampoo, R340 for 250ml, helps lift hair at the roots by giving it a ‘deep clean’ to remove product build-up, which can weigh fine hair down. Thickening TRESemmé Expert Selection Beauty-Full Volume Shampoo, R96,95 for 750ml, contains volumisers to boost volume and control static. 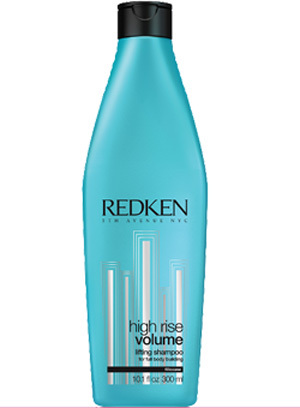 Lightweight yet super-plumping Redken High Rise Volume Lifting Shampoo, R275 for 300ml, contains body-boosting filloxane. John Frieda Luxurious Volume Touchable Full Shampoo, R109,95 for 250ml, energises flat hair from the roots. Sulphates in shampoo (just like those found in laundry detergents) can cause itchiness, dryness, and irritation. Sulphate-free options suit all types of hair – especially if you have chemically processed hair – as the traditional chemicals have been replaced with organic alternatives. Creightons The Curl Company Sulphate-Free Shampoo, R119,95 for 250ml, a cream-gel enriched with moringa oil, is a lightweight, strengthening wash that’s ideal for dull, frizzy hair that’s prone to tangling. 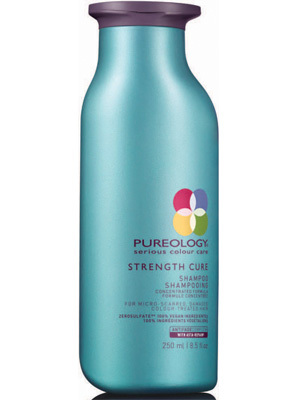 Or try the foamy, vegan-friendly Pureology Strength Cure Shampoo, R290 for 250ml, which coats, repairs and softens each strand, while protecting the hair from further damage, such as split ends. L’Oréal Pure Colour Dazzling Colour and Volume Shampoo, R139,95 for 250ml, is designed to rehydrate and revive your colour with every wash, while its nourishing botanical oils, such as juniper oil, lock in and enhance colour, give your hair added volume, and leave it with a salon-worthy sheen. Win One Of Two L’Oréal Paris Hampers, Valued At R1 614 Each!